The Bad / However, I am not one of those people. The claims are very hyped up and have no basis in reality - you can't just wish money into existence! My Recommendation / If you're looking for a way to make money that's grounded in reality with actual advice then I'd advise you to avoid The Manifestation Millionaire and check out my number 1 recommendation. Today I came across a make money online product that goes beyond the normal ideas of making a website, providing value and marketing to people. The question I have of it is whether it actually a valid way to make money or just another scam trying to take your hard earned cash. The idea behind the Manifestation Millionaire is that through a change of thinking you can change your life dramatically, and create wealth. The ebook is designed to help you change your way of thinking, so if you’re looking for a product to help you build a successful business or learning marketing then this is most definitely not the product for you. The method that Darren has apparently perfected is what he calls “Portal Jumping”. I was sad to find out he didn’t mean this literally so my childhood dream of teleportation went out the window. It’s like a backdoor built into the fabric of the Universe opens up. You just “jump” through to an entire new world. Lack and limitation disappear. Abundance and opportunity shows up everywhere you turn. 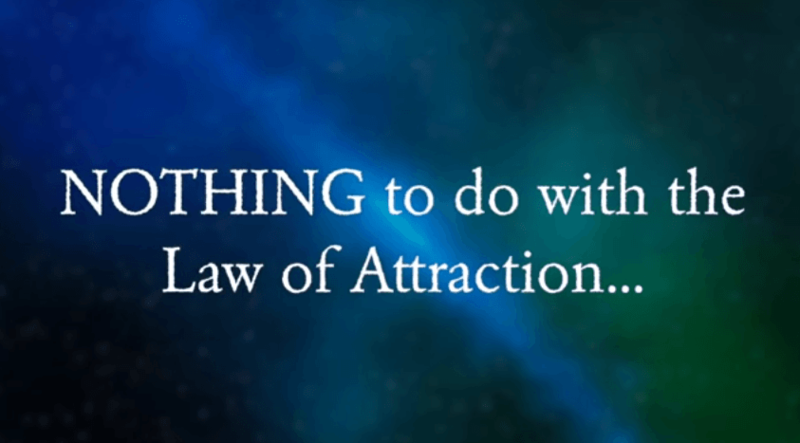 The idea is very close to a much debated system called the Law of Attraction. Obviously Darren is trying to shy away from that method, yet his process which is apparently based on “cutting-edge neuroscience” is really very close to it. To date, no widely accepted neural or computational models have been put forward to describe how mirror neuron activity supports cognitive functions. This of course opens them up to wild speculation and tinfoil hat ideas. While I’m all up for some self-improvement, after all our biggest enemy is ourselves, the claims that Darren is making here are hard to swallow. The belief that you can do something is great, but the way it’s worded is that you literally just think about it and it will happen. This is a terrible thing to say to people because it’s simply not true. There’s nothing out there that will materialise a new car or wealth or the love of your life because you think about it. Now, you might be thinking that I’m taking this too literally and that the process is much slower etc. That’s perhaps true but I’m echoing the sales pitch here, and this is what you and others are being told, but it’s a lie. Simply jumping through an imaginary portal will not result in you getting a new car. Now, jumping through the portal, believing in yourself, working hard and waiting while you earn the money to buy a new car? Yeah that’s believable, but sadly that won’t sell an overpriced ebook to people. The Manifest Millionaire has a lot to say, the video is over 40 minutes long, but does it prove anything? Well, no. The thing is the whole idea behind this system is that you need to believe, so apparently the sales pitch is hoping you’ll just believe it too. There are some testimonials added to the site. Normally these are stock photos and unprovable words, but here there is a catch. Some of the people giving testimonials are actually real (as far as I can tell). It’s not beyond some people to scrape image and names off the internet and attribute a fake quote to them, knowing you’ll Google them and hoping they won’t find the site. Whether this is the case with the Manifest Millionaire is currently an unknown, though I have reached out to some of the people who I could track down, only time will tell if they respond or not. Either way, you have some potentially faked testimonials and the word of the ebook creator as proof this works, which is not a lot to go on. There is also little to say about Darren Regan – who is he and why should you believe him? I’ve no idea to be honest. I could not trace any information about him or his prior activities. Personally I’m not entirely sure he’s real. Who’s John? Is that the real person behind this? It’s hard to say but it certainly puts doubt on the legitimacy of this product. Upsells by themselves aren’t inherently bad, but you should know what you are getting yourself into after you purchase the product. Is the Manifestation Millionaire and outright scam? No, definitely not. You do after all get a lengthy ebook about self-improvement. However, that does not mean I recommend this product. The sales pitch is incredibly hyped up, making you feel like the moment you finish reading the book you’ll become a millionaire. Don’t get me wrong, a good mindset is critical to making money online, especially with all the failures that will inevitably occur, but mindset is not everything. To make money online, and good money at that, you’ll need skills and experience, as well as time, patience and probably a little seed money. The Manifestation Millionaire is also quite overpriced for an ebook, especially as there are lots of existing resources online for self-improvement that are free. If you’re looking to make money online and want actual targeted teaching to help you achieve it, then I’d suggest avoiding the Manifestation Millionaire and look to get proper training.